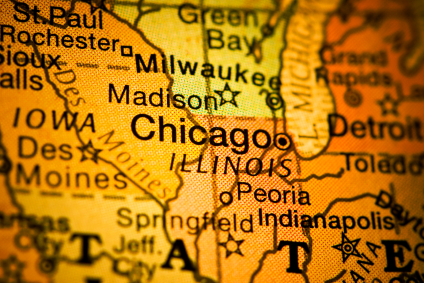 Two DuPage County men in Illinois have been busted for allegedly plotting to kill an assistant U.S. Attorney in Chicago, the Chicago Tribune reported. Authorities charged Jack Mann, 41, of Naperville, Ill. and Frank Caira, 39, of Downers Grove, Ill. The Trib reported that a defense lawyer for an ex-convict told the FBI that his client had been solicited by Mann to kill the prosecutor in a drug case in which Caira was a defendant. The ex-convict who was solicited had been convicted of murder and was a member of the Latin Kings, the paper reported. Posted: 1/19/10 at 4:15 PM under FBI, News Story.